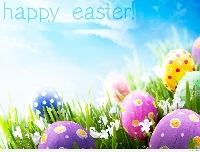 Would you like to send and receive Easter Greeting cards this year? Then this is the swap for you! This swap is International and you will have two (2) partners! So you will be sending two cards! These greeting cards can be store bought or homemade. Please write a message in your card - it can be as long or as short as you want. Share what Easter means to you, or even a memory you have about Easter. Do you and your family celebrate Easter by hiding eggs around the house? Everyone is welcome in this swap, but I will be going through users before assigning partners. Partners will be assigned on the Saturday, and you will have until Wednesday to send out! @Ryleighsmom Thank you ! I have updated . Rating 0.00¿¿???? This is embarrassing to see! Members should NOT be joining swaps like this with such a big risk of get scammed and flaked! !